We replace up to 2 sheets of plywood for free in case we’ve discovered holes or rotting in the wood. 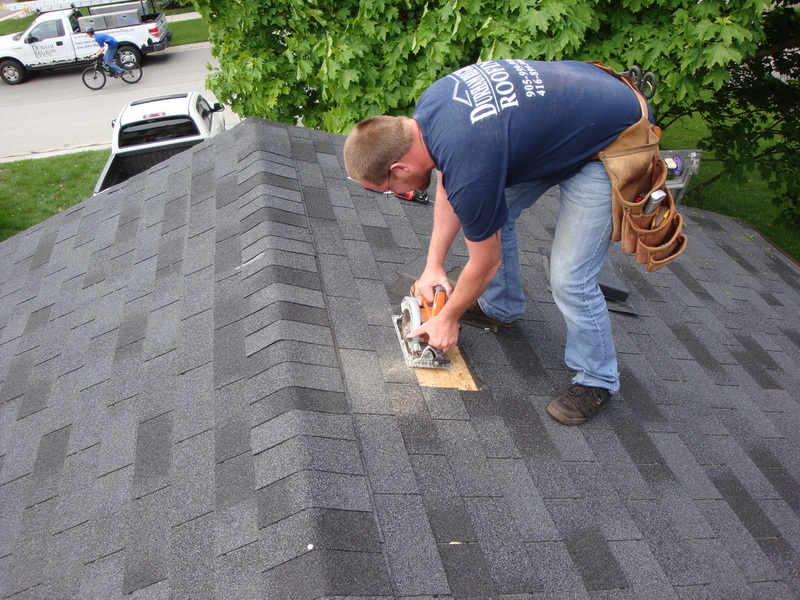 Our cleanup is immaculate and we ensure we’ve removed all nails and other roofing material from the grounds. Our staff is courteous and helpful. If there is a concern or area where you would like special attention given, we are able to answer your questions or we will find someone onsite who can. There is at least one foreman on the site at all times. Our finish is impeccable. Eaves troughs are fully cleaned; all exposed nails and flashing are caulked.